The Museum is proud to announce the released the first postcard produced by the Museum on November 15, 2007. 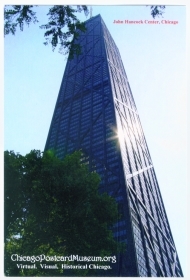 The image is of the John Hancock Center with the photograph taken by Neil Jan Gale and printed on a semi-glossy stock. 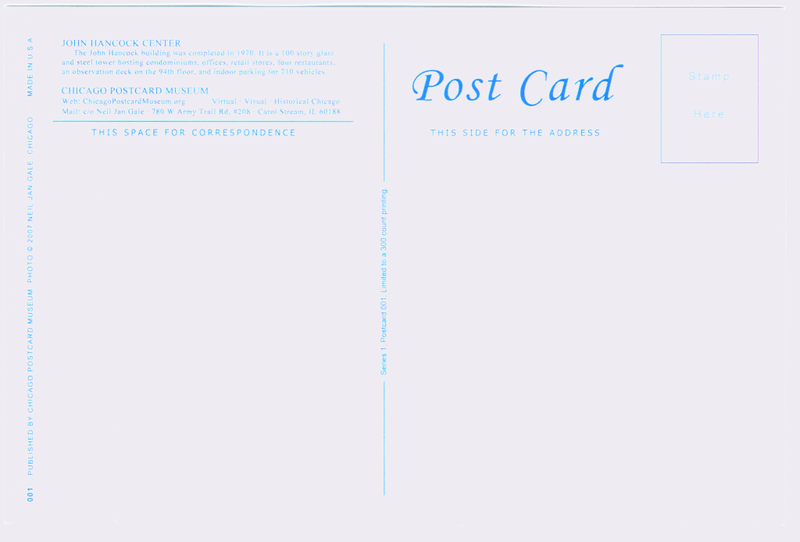 The postcard is printed in the "Golden Era" style, from the front finish to the back layout and wording. 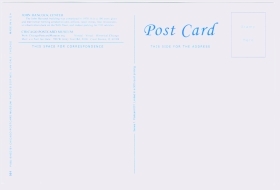 The Museum has limited the printing of postcard #001 to only 300 postcards. It is sure to be a sought after Chicago postcard collectible since the majority of the postcards have been mailed as announcements for the Chicago Postcard Museum Grand Opening. note: 1 of only 300 printed. Show your support for the Chicago Postcard Museum. 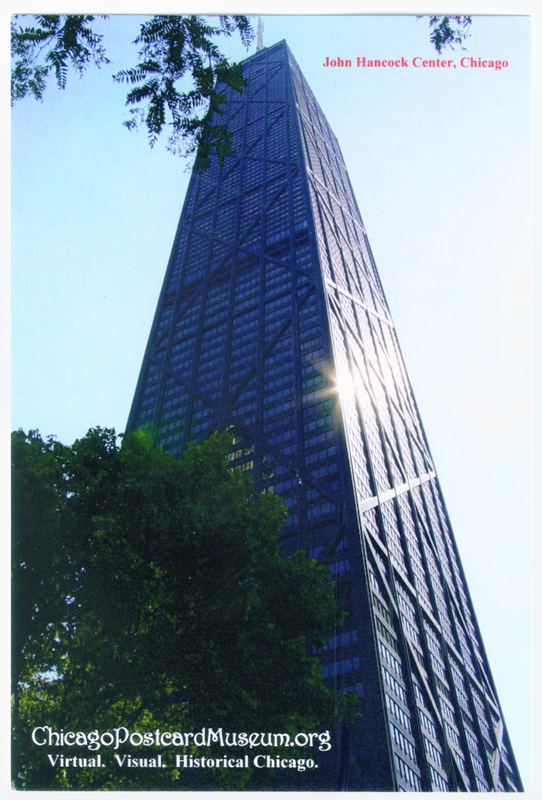 Purchase the Chicago postcard; The John Hancock Center: Series 1; Card #001 - $1.50 each. The Museum will be releasing postcard # 002 shortly.